"I wanted the whole film to feel like a memory -- how you might feel if you looked back on your life." Maybe it's a bit trite to sum up a film in the filmmaker's own terms, but that pretty much covers it. It's Linklater's grasp on his storytelling and craft that shines through in all of his movies, so it's good a place as any to kick off explaining why Boyhood, a film which was shot a little bit at a time over the course of 12 years, covering the formative years of both a character called Mason Jr and an actor called Ellar Coltrane, is so engrossing. It's altogether tougher to figure out where this review should end, but we'll burn that bridge when we come to it. The common element of every rave about this universally acclaimed movie is that it's not about the way it was made. Of course, you still notice how it was made. The final cut spends an average of 12 to 13 minutes in each year between 2002 and 2014. The changes are often marked by subtle cultural signposts and less subtle soundtrack choices. More obviously, it's marked by the noticeable growth and development of our protagonists. The thing is, you're soon swept up enough in the proceedings that you don't clock every single passing year immediately. With performance capture and 3D dominating discourse about the movie VFX industries, this might just be the first film since the curtain dropped on the Potter saga to explore character-led cinema's most dazzling special effect- the real-time aging of the principal characters. 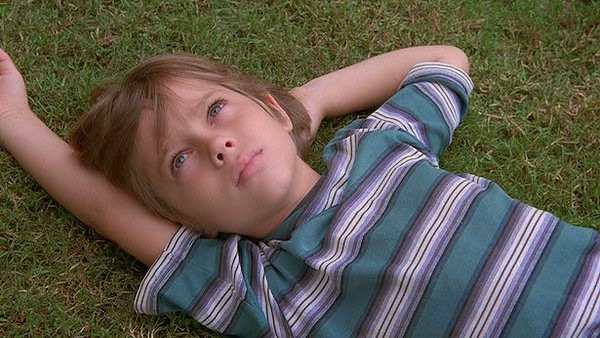 Boyhood comes all at once, rather than in eight instalments, so the progression only leaves a bigger impression. Ellar Coltrane and Linklater's own daughter Lorelei are the young leads. From early on, they're very well directed so as to avoid Narm-ish acting and they each develop their own distinctive personalities as performers as the years go on. We're also watching a 12-year span in the lives of older stars Patricia Arquette and Ethan Hawke as the kids' estranged parents. Credited only as Mom and Dad, we see them in ways that the kids can't quite comprehend yet, throughout the film. Much has been made of the film's portrayal of fatherhood, but Hawke's reckless dad intermittently misses years early on, leaving Arquette's beleaguered single mother as the constant. Each of them grows in their roles too- in relative terms, we start with Training Day Hawke and Human Nature Arquette and close with Before Midnight Hawke and Boardwalk Empire Arquette, but the more established actors feel just as settled into these roles as the newcomers. For Linklater, it feels like an even longer span, working in near-secrecy on this project alongside all of his other movies since 2003 and the result is a real labour of love. Truthfully, it started to wear a little thin for me in the final hour, where the film leans more heavily on Mason Jr's shoulders than on his interactions with the rest of the family of which we've become so fond. Tellingly, the best scenes in the movie echo the long conversations between Hawke and Julie Delpy in the Before trilogy, with the camera dollying backwards to capture the banter, but there are familiar and welcome Linklater devices from works produced both before and during this production, scattered throughout. 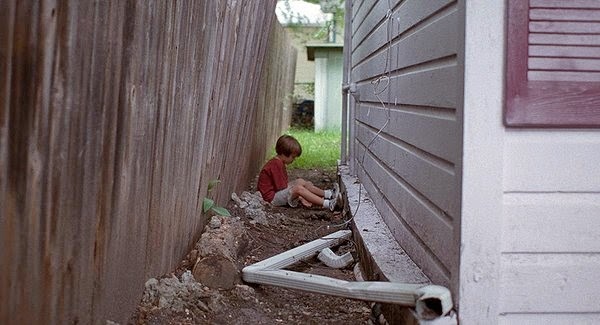 Provided the director isn't bonkers enough to go all Before Sunset and film the next twelve years of the story too, then Boyhood is truly an extraordinary one-off. In real time, it covers almost the entire span of the Linklater-Hawke-Delpy Before trilogy in one go, but engenders just as much emotional investment in almost three hours as it would if it had (somehow) been a short film. Perhaps that means it could have lost some of its even coverage of the later years here and there, but it's tough to impose any hypothetical cuts on such a complete cinematic experience. Boyhood is now showing at selected cinemas nationwide.